Affordable Luxury. Gulf Access Waterfront and Inland Homes and Condos in Deed Restricted Neighborhoods. PGI, BSI, Deep Creek and more! Single Family Homes and Condos in Good Neighborhoods. Gated and Senior Living Communities. Retirement, Vacation and Year Round. Great Prices! Deed Restricted Homes in Golf Course Community. Minutes to Uncrowded Englewood Beach with its Gulf Front Condos. Low Traffic, NO Stress. Island and Mainland Homes, Condos, Villas and Town Houses. Established Neighborhoods and New Developments. Friendly, Small City Downtown. Surprising City in South Sarasota County. Single Family Homes to Fit Any Budget. Many on Large Lots or Acreage. Luxury Homes, Pool Homes, Economy Homes. Homes and Condos in Exciting Sarasota Neighborhoods. Live on Siesta Key, Longboat Key or Downtown area. Enjoy the best of Florida Lifestyle! From Bradenton to Punta Gorda, Your Suncoasteam’s agent specializes in knowing the local Southwest Florida Real Estate market. Whether you’re looking for beachfront property on Siesta Key or a condo in Port Charlotte, call Your Suncoasteam today for Southwest Florida Real Estate! For fast friendly assistance with your home search, call us at 941-235-7474 or email us at sales@suncoasteam.com. Your Suncoasteam is an association of Realtors® specializing in the sale of homes, condos, building lots and land in the Southwest Florida Real Estate market. Although we sell real estate throughout Florida, we specialize in properties in Charlotte, Sarasota and Manatee Counties, in Southwest FL. These counties include the Florida cities of Sarasota, Venice, North Port and Punta Gorda as well as the towns of Port Charlotte, Rotonda, Englewood, Cape Haze, Boca Grande, Casey Key, Siesta Key and Longboat Key, all of the ideal locations for Southwest Florida real estate you’ve always desired. Whether you prefer a waterfront home in Punta Gorda Isles, a pool home in Port Charlotte, Rotonda or North Port, a condo in Venice or Sarasota or a luxury, beach front condo in Boca Grande, Siesta Key or Longboat Key, your Suncoasteam will find the Southwest Florida Real Estate that fits your needs. We have the Southwest Florida Real Estate listings you need. Our area is growing in many exciting ways. New developments are popping up in Venice and North Port such as West Villages and the Atlanta Braves Spring Training Complex. In Port Charlotte, the new Murdock Village development will have a hotel and a variety of homes and shops. In Eastern Charlotte County, Babcock Ranch, the largest Solar City in the country is under construction. Babcock Ranch will be totally powered by the sun. It already has an inviting downtown with shops, restaurants, a school and medical facilities. Allegiant Airlines has announced plans to build a Mega-Resort in Port Charlotte called Sunseeker. The resort will span over 25 acres in Charlotte Harbor. It will have a luxury hotel, al least nine condo towers and fifteen restaurants. Sunseeker Resort will also have two marinas that will accommodate condo owners and transient boaters. Condos will range in price starting at $600,000 for a one bedroom condo, $850,000 for a two bedroom unit and over $1,200,000 for a three bedroom luxury condominium. These are just a few of the new developments in Southwest Florida’s Suncoast. While many people think of Southwest Florida as vacation or retirement destinations, our diversified business community offers opportunities for families. Our schools are excellent and safe, and Edison and Manatee Community Colleges provide training in marketable skills. Florida Gulf Coast University and the University of South Florida are also nearby. Manufacturing and technology industries are taking up residence in our communities and Suncoasteam’s Relocation Service is modeled to furnish real estate services to businesses as well as individuals. Our Sun Coast Demographics show this to be a diverse and growing area with a little something for everyone! Always a perfect sunset when you buy Southwest Florida Real Estate! Get started browsing our featured listings of Southwest Florida Real Estate for sale, or browse by city, map or type of home or property. In Your Suncoasteam site, find more information on the different communities we serve and choose the ideal location for your next Florida real estate purchase or investment. The communities of Southwest Florida are among the nicest and most affordable in all of Florida. These counties and neighborhoods can have the small town feel that we all love or you can choose to live in a more urban setting with active nightlife and entertainment. No matter where you choose Southwest Florida Real Estate, you will not be far from either. Starting in the southern end of our territory you will find Punta Gorda, FL. This is one of the nicest cities in all of Florida with the art and nightlife of much larger cities. There are lovely galleries and restaurants throughout the city and nightlife for all ages. Fisherman’s Village, near the Punta Gorda Isles community has an excellent marina with annual and transient slips. In Punta Gorda, FL there are restaurants and shops where you can spend the entire day shopping, dining and just relaxing. Downtown Punta Gorda has some of the best dining in all of Florida with nationally recognized, award wining chefs. You can enjoy Punta Gorda’s street festivals, outdoor markets and activities for all ages. Homes in Punta Gorda, FL range from affordable Deep Creek pool homes to luxury Punta Gorda Isles waterfront homes where you can keep your large yacht or sailboat right behind your home. Access to beautiful Charlotte Harbor is quick and easy. Best of all, the city of Punta Gorda, FL maintains the canals AND seawalls. This is a huge savings and a benefit to all, maintaining property value all through beautiful Punta Gorda Isles. If one prefers a condo, town house or villa to a single family home, you can find these as well in Punta Gorda, FL. The Deep Creek section has many nice, affordable condos in lovely neighborhoods with nearby golf. Deep Creek Golf Club is semi-private, open to the public with restrictions. Waterfront condos with boat dockage is a plentiful in Punta Gorda and Punta Gorda Isles. Find just the right condo, town house or villa in Punta Gorda, FL right here on our website. Port Charlotte, Florida is just north of Punta Gorda, across the Peace River and Charlotte Harbor. Port Charlotte, FL is well known for its great prices in retirement homes and condos. Exceptional values can be found in condos for sale in Port Charlotte, FL. From adult communities like Charlotte Square, Oak Forest and Maria Manor to family friendly communities like The Oaks and gated communities like Heritage Oaks and Riverwood, Port Charlotte has maintenance free living for every lifestyle and budget. Many buyers have been surprised with the excellent prices they find when shopping for single family homes for sale in Port Charlotte, FL. There are many choices from simple cottages under 1,000 s/f to larger pool homes and luxury homes in gated communities. Port Charlotte, FL has a large shopping mall, Town Center Mall, with specialty shops, large department stores, restaurants, food court and a multi-plex cinema. In addition, shoppers will find store after store along the main thorough fare, Tamiami Trail. “The Trail” as it is locally known is loaded with locally owned restaurants and sports pubs where fans of baseball, football, basketball and more can enjoy a game with other hometown fans. From wherever you hail, there will be a gathering place for fans like you. And if you are a baseball fan, Port Charlotte, FL has something for you almost year round. The Spring Training home of the Tampa Bay Rays, Charlotte Sports Park in Port Charlotte is a great place to enjoy a baseball game. Escape the winter chill and watch the pros practice and play exhibition games at the park while you sip a cool drink at the tiki bar in center field. During the summer months, Charlotte Sports Park remains alive for Southwest Florida fans of baseball. The Charlotte Stone Crabs, the High A minor league team of the Rays play a full schedule. Avid baseball fans have watched many young players start in Port Charlotte and advance to the majors. We can say, “We saw them first in Port Charlotte”. Boaters appreciate Port Charlotte as well. On Charlotte Harbor, across from Punta Gorda, Port Charlotte has a large complex of open water access canals. Canals in Port Charlotte, FL were dredges before those in Punta Gorda Isles so there are some older homes and even an occasional “fixer-upper” on the water that can be bought at surprising prices. Click this link to see waterfront homes for sale in Port Charlotte, FL. There is also a section of Southwest Florida Real Estate in Port Charlotte called South Gulf Cove and its lesser known section, Gulf Cove. These neighborhoods have both waterfront and ‘dry’ (non-waterfront) properties. The communities are best known, however, for their waterfront homes. Gulf Cove and South Gulf Cove waterfront homes have access to Charlotte Harbor and the Gulf of Mexico at the mouth of the Myakka River through a water lock. While there are canals in South Gulf cove where a boater does not need to pass below a bridge and there is the occasional sailboat, the community is best suited for power boaters. All Gulf Cove boaters must pass below the Myakka River bridge, highway 776. Click this link to see listings of dry and waterfront homes for sale in Gulf Cove and South Gulf Cove. Rotonda West and Englewood, Florida share Cape Haze with South Gulf Cove. Rotonda West with its sister neighborhoods of Rotonda Lakes, Rotonda Heights, Rotonda Sands, Rotonda Shores and Rotonda Meadows and Villas occupy the middle of Cape Haze. Englewood spreads across the north and west sides of the cape. Rotonda West, inside the ‘circle’, is a golf course community. Homes for sale in Rotonda, FL may overlook a golf course, a serene, fresh water canal (no boating access) or a green belt. The community began in the late 1960’s and some homes in the Oakland Hills were built at that time. As one travels around the circle clockwise, homes are in general newer, with most homes built after 2000 in the one to five o’clock sections. Most homes in Rotonda Lakes and Rotonda Heights sections were built after the mid 1990’s and there are still many great choices of building lots. Rotonda Sands and other sections are just getting underway after the 2000’s with the exception of the small Rotonda Shores neighborhood in the southwest section which got underway in the 70’s and 80’s. While Rotonda is generally a community of single family homes, one can find an assortment of very nice condos, town homes and villas for sale in Rotonda, FL. It is one of the best places to find Southwest Florida Real Estate within an easy drive to a beach. Englewood, Florida, which shares Cape Haze with Rotonda is a mixed community of single family homes and beachfront condos. Englewood Beach is a beautiful stretch on Manasota Key. Generally uncrowded, even in the height of tourist season, Englewood Beach is free of the traffic jams seen on many other Florida beaches. It should not take more than 15 – 20 minutes from your door to toes in the sand from anywhere in Englewood or Rotonda. 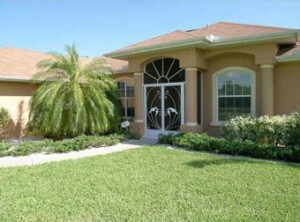 One can find many styles and prices of single family homes for sale in Englewood, FL. If a condo or townhouse is more to your liking, condos for sale in Englewood, FL also offer easy access to the beach with some located right on Manasota Key. North Port, Florida is just north of Port Charlotte and east of Cape Haze. North Port is the largest city in Sarasota County in area and population, surpassing Sarasota and Venice in the 2010 census. During the late 1990’s and into the 2000’s, North Port experienced a housing boom. The vast majority of homes in North Port are single family with only a scattering of condos, villas and town homes, but that should change as new communities develop. North Port, FL continues to grow with renewed interest and construction due to low cost land. The city benefits from its location, close to Interstate Highway 75 affording easy access to other cities north and south. US 41, Tamiami Trail is the main thorough fare, connecting to Venice in the north and Port Charlotte to the south. It also has the benefit of an easy drive to Englewood or Venice beaches. As interest in Southwest Florida Real Estate continues to grow, North Port, FL will grow with it. Browse through a list of single family homes for sale in North Port, Florida and you will be surprised at the wide variety of choices. You will find simple cottages near the center of town as well as luxurious pool homes in private settings. While the number of condos, town homes and villas for sale in North Port, FL are not as plentiful as other areas, the choices are outstanding. Venice, Florida is located on the Florida’s Gulf Coast. The downtown area of Venice Island is where you will find restaurants, shops and parks in a convenient, walkable neighborhood. Venice Beach is another relatively uncrowded beach and lined with beautiful condos. Venice, FL is close to Casey Key, Nokomis and Osprey with their choices of beaches as well. Off the island, there are many nice neighborhoods in Venice, FL from which to choose. Convenient to shopping and restaurants, these communities are well groomed and comfortable. Throughout the area you will find condos, town homes and villas for sale in Venice, FL with amenities and features that year round or seasonal residents will love. Most have community pools if you don’t want to drive to the beach. Some have tennis, golf and other amenities. Find just what you want in a Venice, FL condo! If a single family home is a better choice for you, Venice has them as well. In South Venice you will find suburban neighborhoods with moderately priced properties as well as waterfront homes. Newer neighborhoods have been developed along Tamiami Trail with luxury features, including gated communities. Take a look at the list of single family homes for sale in Venice, FL and you will be happy you did. Sarasota, FL is well known for its fabulous beaches and nightlife and neighborhoods like St. Armands, Lido Beach and Siesta Key. Sarasota, Florida has a vibrant downtown with the Van Wezel Performing Arts Center overlooking beautiful Sarasota Bay the crown jewel. The Van Wezel fills each season with musical concerts, plays, dance, comedy, various performing arts and much more. The John and Mable Ringling Museum of Art is another precious asset of this wonderful city. In addition to its permanent collection, the museum features loaned exhibits and performances. Mote Marine Laboratory & Aquarium is one of the nation’s most respected marine research facilities. A visit to their aquarium and facilities are both exciting and educational. Sarasota, FL is a medium size city with that big city feel and few of the big city nuisances. It is close enough to Tampa and St. Pete to enjoy their benefits while maintaining the warmth of Sarasota. If you are an avid golfer, you will never be far from a course in Sarasota. Outdoor activities are plentiful and with warm weather year round, there is never a time when you cannot enjoy a hike or a set of tennis. Baseball fans will also enjoy Baltimore Orioles Spring Training at Sarasota’s Ed Smith Stadium. Siesta Beach, with its miles of sugar sand, is known as one of the world’s best beaches and always rated among the best in the USA. Luxury condos abound on Siesta Key with panoramic views of the gulf. If you are interested in a condo for sale on Siesta Key, Please call Your Suncoasteam. We will be happy to show you around. If your preference is a single family home for sale in Sarasota, FL off the keys, there are many great choices. Neighborhoods like Palmer Ranch, east of downtown have lovely homes. If you prefer maintenance free living, perhaps a condo, town house or villa for sale in Sarasota would be your best choice. Sarasota has many small and larger condo communities where you can enjoy the good life and not worry about a lawn to mow. SIn the north end of the Suncoasteam territory is Manatee County, and the city of Bradenton. Bradenton is south of the Manatee River and is separated from the Gulf of Mexico by beautiful barrier islands. Longboat Key, Holmes Beach and Anna Maria are lovely communities close to Bradenton. The Pittsburgh Pirates train in Bradenton each spring and their High A minor league team, The Marauders, play baseball there each summer. Lakewood ranch is an upscale development in the southeast section of Manatee County. You will be very pleased with the selections of single family homes for sale in Bradenton, FL single family homes for sale in Bradenton, FL. There is also has a fine selection of condos for sale in Bradenton, FL. You will not be disappointed! Southwest Florida is our home. We love it here and we would like to show you why. Our agents know the Southwest Florida Real Estate market. Give us a call or use our search to find a home. If you save your searches, the system can email you whenever a new property comes to market. We are here to work for you, in your best interest and find the deal that will make you happy.